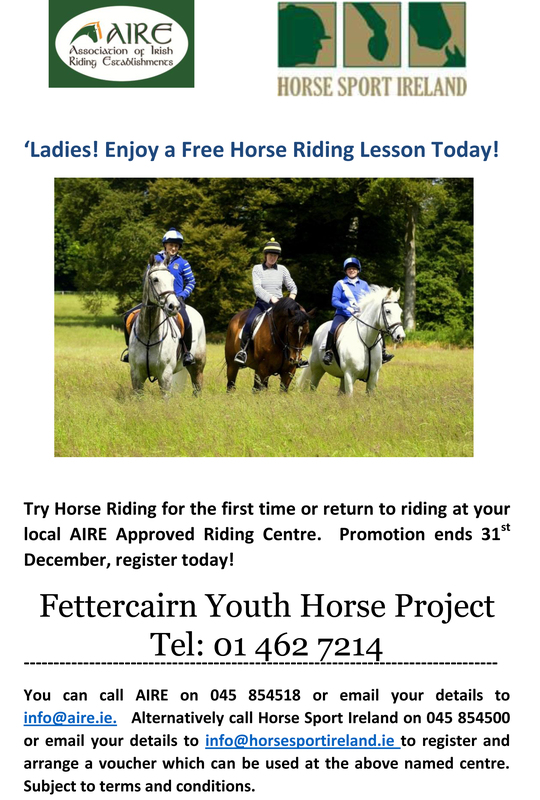 The Irish Sports Council have provided AIRE with a grant for “Woman in Sport” through Horse Sport Ireland to provide a free riding lesson. Ladies should apply to AIRE or H.S.I. 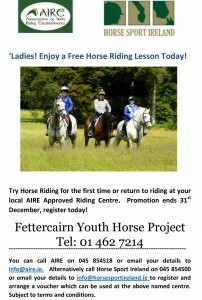 for a voucher which will enable them to have a free half hour group riding lesson in our Centre in Fettercairn. This entry was posted in Horse Riding Lessons by Dara Larkin. Bookmark the permalink.